Join us for a great Wednesday night of music and $6 burgers, inside the 1747 Pub at Reynolds Tavern. 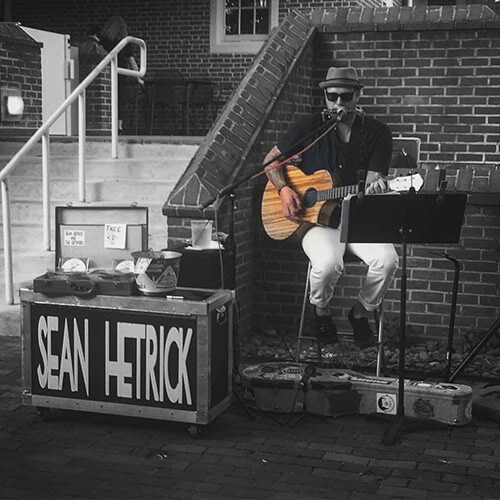 Listen to live music by Sean Hetrick while enjoying a 1/2-pound burger (a blend of short rib, ground chuck, & hangar steak) on a brioche roll with lettuce, tomato, and hand cut fries on the side. A delicious and entertaining way to spend a Winter Wednesday evening by the fireplace. Cellar pub that once served as the kitchen and hat shop when during the 18th century. Full service Pub, restaurant with a step back in history. Daily Happy Hour, attentive service and great food! Live music on the weekends. Come try our Colonial Punches!